Elected officials joined concerned southern Queens and Rockaway civic leaders last Friday in urging the U.S. Army Corps of Engineers to release the draft report and immediately thereafter hold neighborhood meetings regarding the proposed Rockaway Reformulation Study – the long-stalled analysis which will ultimately determine the best possible coastline defense to protect the whole Rockaway peninsula and communities surrounding Jamaica Bay from storms and floods. 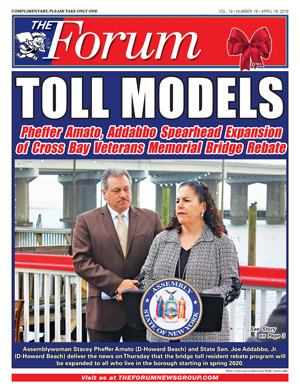 U.S. Sen. Charles Schumer (D-N.Y.) and Assemblyman Phil Goldfeder (D-Howard Beach) have also penned a letter to the USACE NY District, detailing the significance of the draft report and public forums. Initially, the Superstorm Sandy relief bill that was signed into law required that the feds pick up 65 percent of the project. Immediately after the bill’s passage, Schumer said he began working with the USACE and Office of Management and Budget to re-categorize the effort as “ongoing construction,” and therefore eligible for full federal funding. However, the bill was passed into law over two years ago, and the Corps has yet to release the draft General Reevaluation Report publicly or hold formal community meetings—the next steps in the process to start construction. Schumer and Goldfeder said it’s time for the feds to give Rockaway the update it deserves and one it has been patiently awaiting. Immediately after Sandy, the USACE allowed for emergency sand replacement to protect Rockaway from future storm surges. The Corps has since completed that work, placing 3.5 million cubic-yards of sand in Rockaway. But since that sand placement, Rockaway already experienced significant erosion. The long term comprehensive coastal storm risk reduction plan for Rockaway and Jamaica Bay requires the completion of hard, protective features including a sea wall, jetties, and groins. The USACE New York District told The Forum that the draft report is on its way. 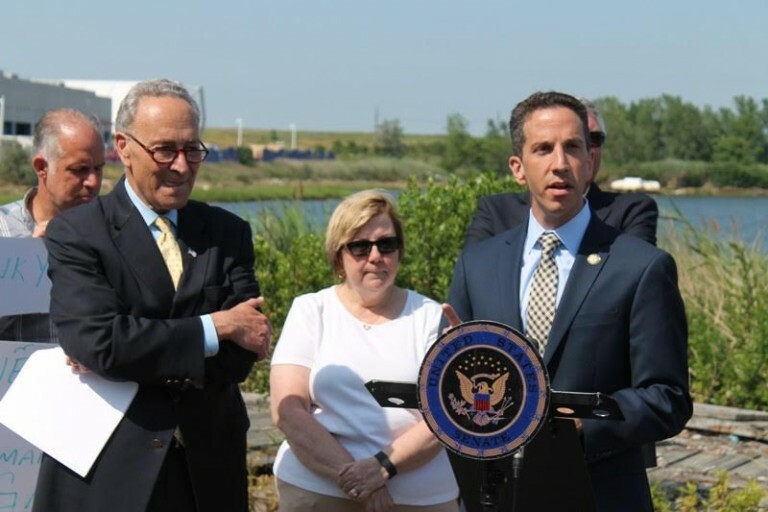 “The U.S. Army Corps of Engineers appreciates Sen. Schumer and Assemblyman Goldfeder’s ongoing interest and support for the reformulation report for Rockaway. The New York District is in the process of finalizing the draft reformulation report and it is expected to be released for public review in July 2016. 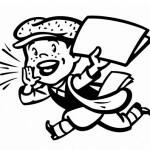 Public information meetings are scheduled to be conducted beginning in late summer regarding the report.